The Zepher drop in bath tub is rounded on one end with molded in arm rest on each side of the tub, and semi rectangular on the opposite end. This unique shaped tub is embedded into a classic rectangular exterior that allows for maximum comfort in a modernistic design. 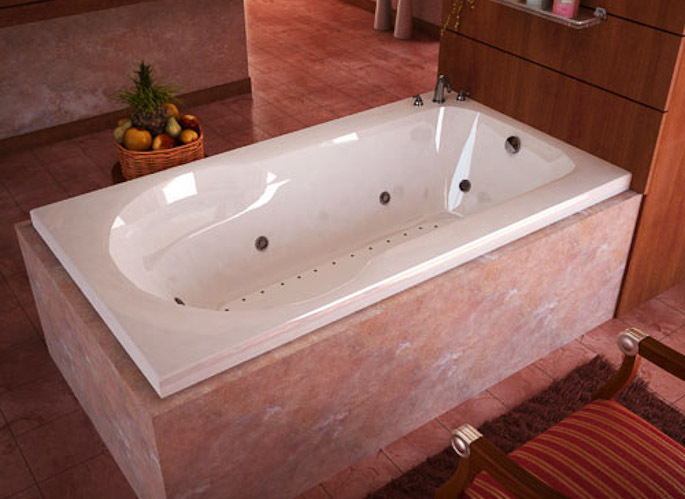 Available an a soaking tub, air tub, whirlpool tub or air/whirlpool combination. Call 800-720-1062 for more details. 60" x 32" x 0"